An Expecting Mother Who Is Pregnant for the 4th Time Was Shocked After the Doctor Discovered This in the Ultrasound! Although Chloe and Rohan Dunstan already had 3 amazing young boys, the Aussie couple truly desired to have a cute baby girl. She wanted to get pregnant once more with the expectations that this time, a little girl will be born. Several weeks after trying, Chloe went to the doctor for her routine checkup in order to see how her pregnancy was coming along. 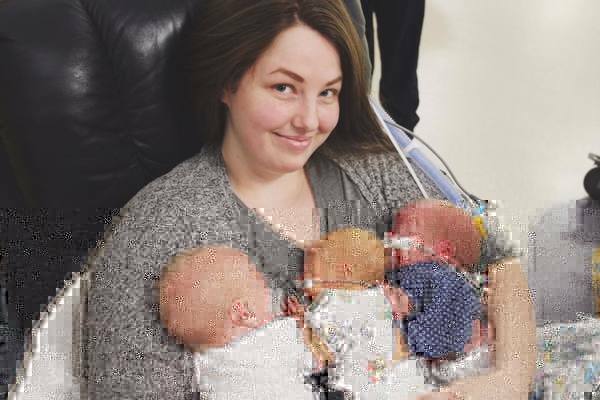 Chloe was shocked to find out that she was pregnant – with triplets. The married couple then made the necessary arrangements to welcome three more bundles of joy in their lives. The expectant mother returned to the doctors during her 28th week. She was told that she was going to have 2 more boys and one precious baby girl. However what she was told next is something no mother should ever have to hear. The two boys were developing on schedule but the girl was underdeveloped. Each passing day added more complications with the baby girl’s survival. Doctors admitted that the girl would probably die if they didn’t deliver all three at the same time – but not without putting her unborn boys at risk. 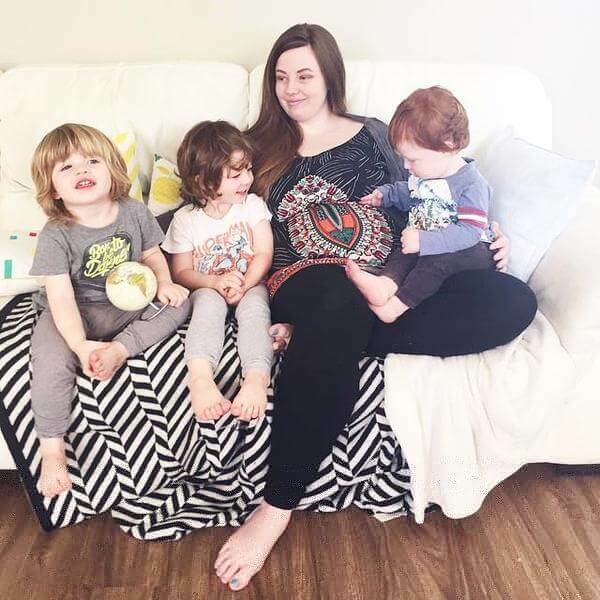 Chloe was faced with a very difficult decision: deliver early and risk the health of all three babies, or sacrifice her unborn daughter’s life to save the remaining two boys. “I could barely listen to any of that… My mind was on a one-way track of ‘I want ALL of my babies’, I did briefly consider the alternative, I did a lot of research and tried to get a feel for what they were in for. I knew it would be tough but I just couldn’t give up on her.. 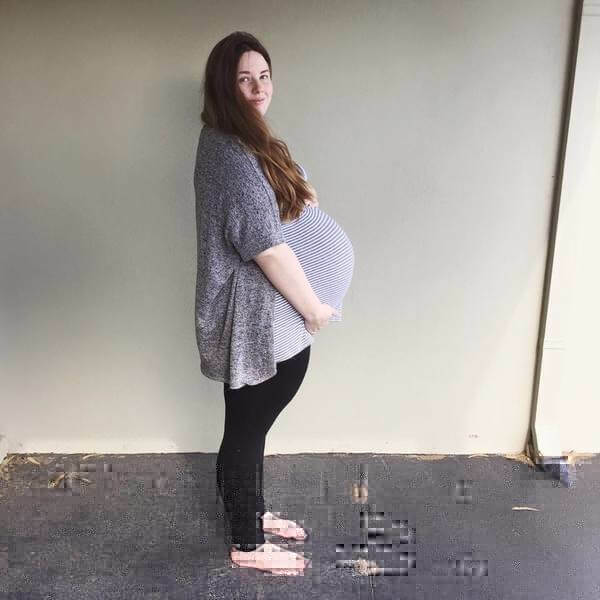 I knew she was strong because she made it all the way to 28 weeks, when she was barely getting any nutrients in the womb,” Chloe said on Facebook. She decided to deliver early – a decision she struggled with leading up to the surgery. 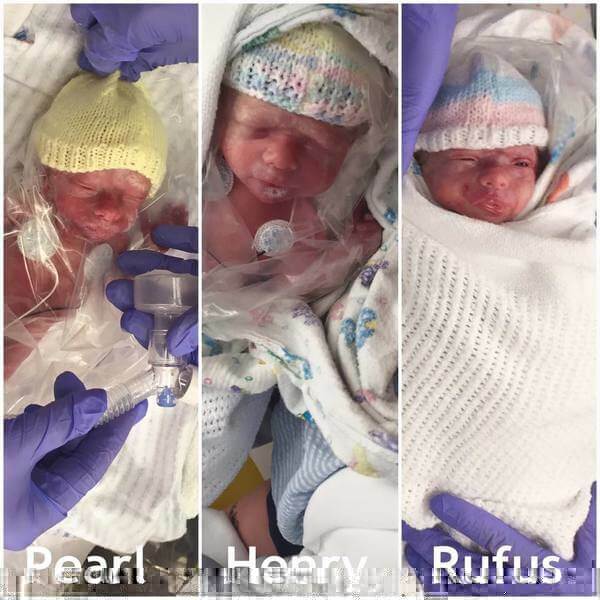 While not without complications, the triplets were born on July 3 at just 28 weeks. They were placed in intensive care. Henry weighed 1370 grams, Rufus 1200 grams and precious little Pearl just 690 grams. ‘Pearl had a PDA in her heart that closed on it’s own, she had a pulmonary hemorrhage, a minor brain bleed, she fought a horrible infection and there were days we weren’t sure if she would make it, especially the early weeks when she was on a ventilator,’ Chloe said. Pearl fought to be alive and now she’s here to stay. It’s a true miracle that all three triplets survived. “I guess I just wanted to say that I’m so very happy and grateful for how everything has worked out. I couldn’t imagine life without her and I’m so proud of all three of them. 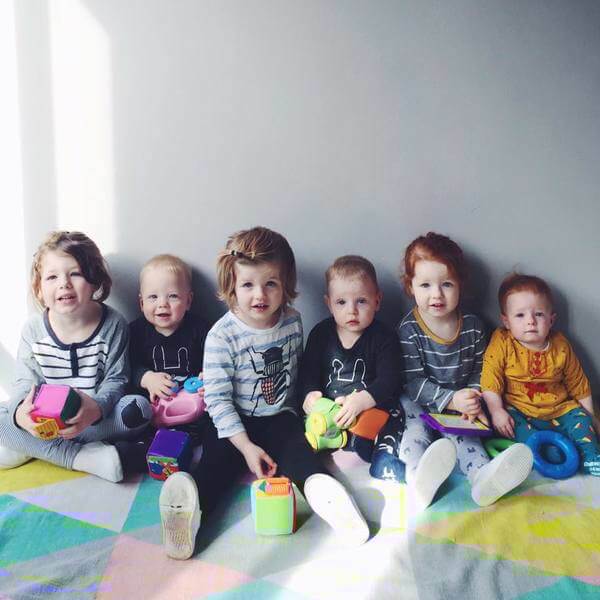 I can’t wait to watch them grow,” Chloe says. Share this story about this brave woman!